Our solution team is staffed with licensed experts that have years of experience in keeping your forklifts as well as heavy machinery running. We know exactly what a major investment a forklift is, we likewise know that you count on your machinery to maintain your organization running. With that said in mind, we provide routine upkeep agreements that could help maintain your service relocating without any downtime. We work so hard to provide a wide choice of machinery whether its a sitdown, narrow aisle, pallet jack, propane, electric, reach truck, side loader, walkie and much more. We also have Clark, Raymond, Crown, Toyota, Hyster and other used reconditioned forklifts for all your needs. 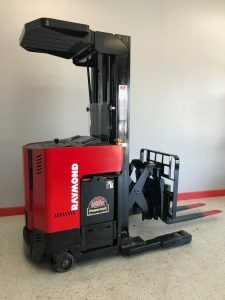 If you are in the marketplace for utilized electric forklifts in the City of Industry we can offer you the lift for your needs. Our showroom is conveniently situated at 2275 S La Crosse Ave # 2010, Colton, CA 92324. And with new supply regular as well as a nationwide network to locate high quality utilized machinery, we can aid you get the right forklift for your business. Call David Coronado today at (877) 830-7447 to discuss your forklift and heavy machinery requirements. Whether you are in the City of Industry or anywhere else in California or nationwide we can ship to your area.